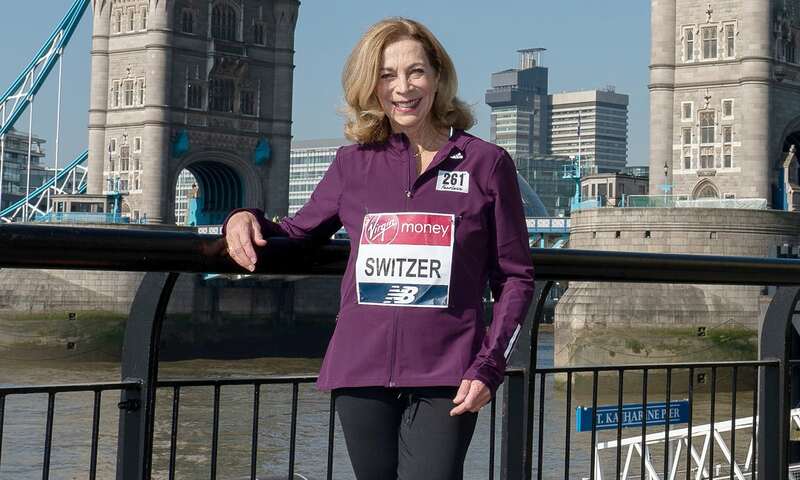 To Kathrine Switzer, running has provided ‘everything’. 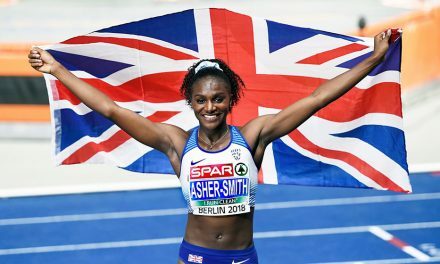 Her return has included historical and rule-changing moments, stand-out athletic performances, a game-changing global running circuit, an inspirational social network and more. 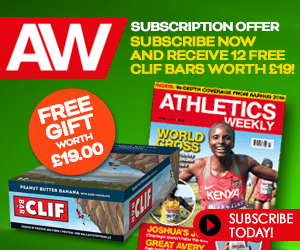 Switzer is a women’s running pioneer and has scaled the heights at seemingly all she has put her mind to. One of her latest endeavours was to take on the Virgin Money London Marathon for the first time and it was after the 38th edition of the race which she helped pave the way for that she spoke with AW, her medal proudly draped around her neck and a tribute to the now late, great Bruce Tulloh on her bib – number 261, of course. 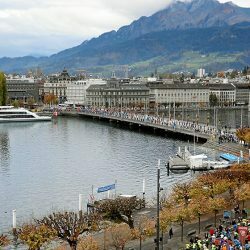 Bringing things full circle, Switzer was back in the city that hosted her 1980 Avon International Women’s Marathon – one in a global series of 400 women’s races in 27 countries that she organised. Not only did it prove that London could stage such an event, but also that the talent and international representation was there for it to be considered for the Olympic programme. Four years later, the first Olympic women’s marathon took place in Los Angeles. The fact that she was running London in 2018, which marked 100 years since women gained the right to vote, was not lost on Switzer, either. 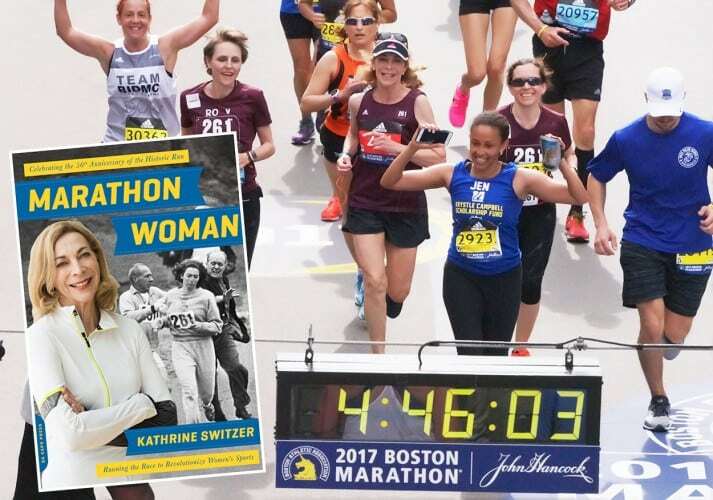 But despite all that, Switzer is still best known as the first woman to run the Boston Marathon as an official entrant – number 261 – and the 1967 image of race director Jock Semple trying to force her off the course is an iconic reminder of how different things were half a century ago. It was that negative experience which would eventually open the doors to so much possibility. That lesson was first learned following her rise in hockey after running a mile a day on the advice of her army major father, but clearly Switzer has applied that concept to many other areas of her life. “Ever since I crossed the finish line of the Boston Marathon in 1967 (in 4:20), I wanted to do two things,” says the American, who would go on to win the New York City Marathon in 1974 and clock 2:51:37 in Boston a year later, returning in 2017, 50 years after the famous incident (pictured below). “One, become a better athlete, but more than that I wanted to create opportunities for women. I championed the cause of getting the women’s marathon in the Olympic Games, I pushed for their equal rights, and now, with 261 Fearless, my new organisation named after my bib number, we are empowering women who are fearful to take the first step. “It’s transformational,” she adds. “Running for women is transformational. When later discussing the 1984 women’s Olympic marathon with Burfoot, Switzer would describe it as a race which “fulfilled all my dreams”. 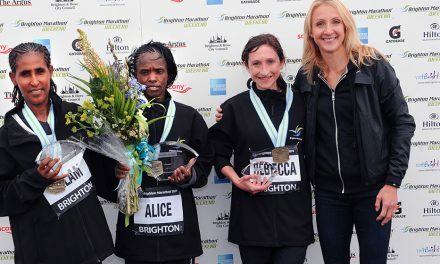 Fresh from running 4:44:49 to complete her 42nd marathon, Switzer explains why it took her so long to finally take part in the London Marathon herself. 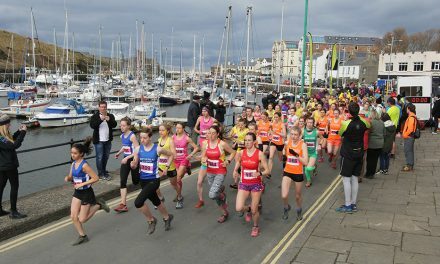 “When I was here organising the Avon race it was 1980,” explains the trailblazer, who was inducted into the USA National Women’s Hall of Fame in 2011 for creating positive social change. “Then we moved on with that because we were getting the women’s marathon into the Olympic Games. 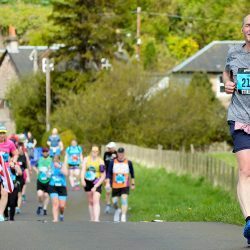 Then I was just all on – for the better part of 25 years – organising races in 27 countries, five continents, a million women, 400 events, and it was a consuming but extremely gratifying career. 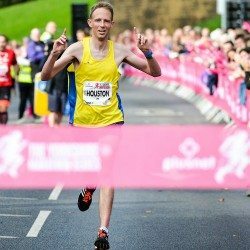 “From there I leapt into television commentary and books and I always thought my last marathon was good, and let’s leave it at that. But then I got the bug again when I turned 62 and I’d written my third book, because I was meeting women who were 65 years and 75 years and older who were coming up to me. They had only recently heard my story and they had only just begun to run. They were like born again. “They were running events that I had helped to create but I hadn’t run in them and I was really getting jealous! I suddenly looked at my husband and said: ‘I know they are old bodies, but they’ve got new legs. What if I, with an old body and old legs, could get it back?’ Physiologically I was curious. Ever since that memorable marathon debut, for each of her 42 26.2-mile races, Switzer has worn a bib. Perhaps not always an official bib, but a bib, all the same. 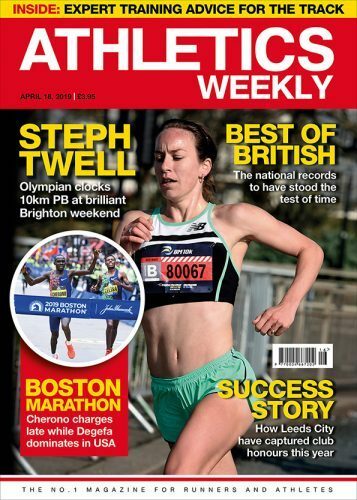 “After the Boston incident and I was expelled from the athletic federation, I got invitations everywhere from race directors – they wanted me in the race,” she says. 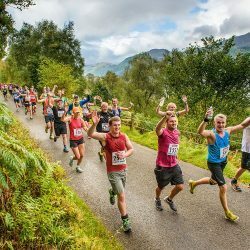 “They said: ‘Look, you can come, we’ll make you unofficial but we want you to wear a bib.’ I’d get the bib and it would have ‘unofficial’ on it and then I’d get a trophy handed to me and they’d say: ‘And in fourth place overall, first woman … unofficially’, and everybody would scream with laughter. 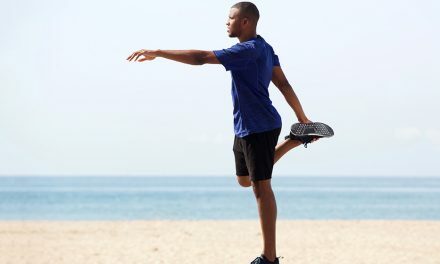 “The male runners thought it was great. The male runners have always been supportive of women. We would never be where we are today without those guys – they were fantastic. “It’s never been a sense of discrimination there. In other sports it’s different. Ever since walking out on a men’s cross country course at university and asking if I could run with them, they welcomed me. In the Boston Marathon in 1967 they welcomed me. The only guy who was mean was the race director.